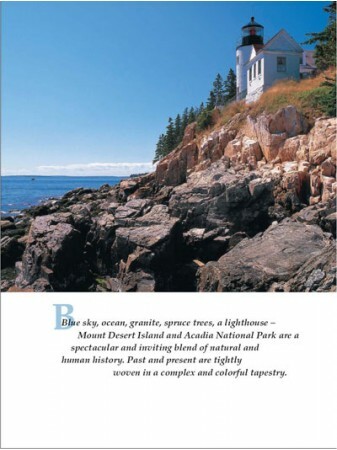 Blue sky, ocean, granite, spruce trees, a lighthouse--Mount Desert Island and Acadia National Park, Maine are a spectacular and inviting blend of natural and human history. 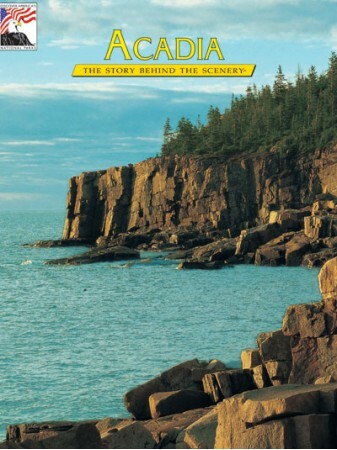 Acadia, The Story Behind the Scenery lavishly illustrates and interprets the past and present that are tightly woven in a complex and colorful tapestry. 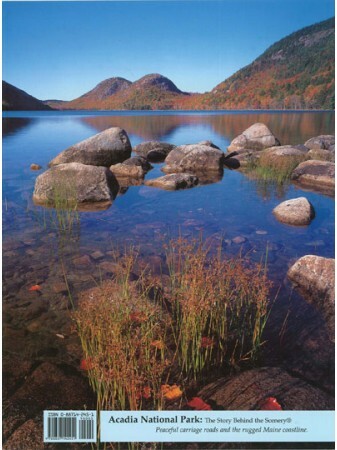 Granite domes, shaped by the combined forces of ocean and glacier, attract some two million people a year--not surprising because Maine's Acadia National Park lies within a twelve hour drive to one quarter of the people who live in North America. 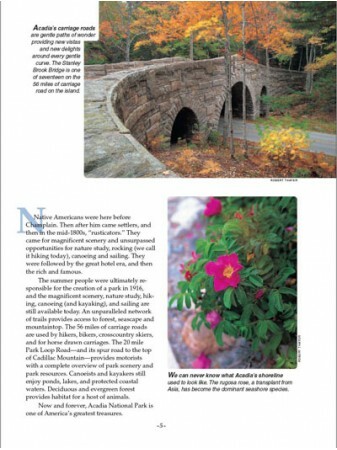 Most come in summer, with another surge of visitors during October's fall colors. The Story Behind the Scenery brings you stunning photography of the complex and diverse geology, flora and fauna, together with the unique narrative of the effort and ultimate success of local citizens to protect the fragile park area. 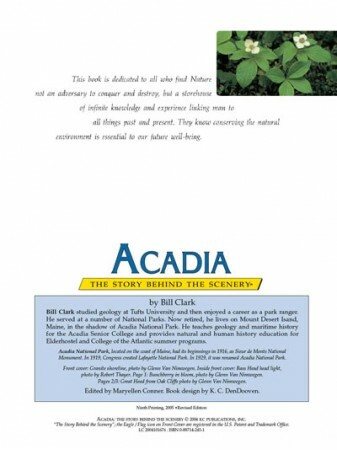 Author Bill Clark studied geology at Tufts University and spent most of his career as a park ranger for the National Park Service. 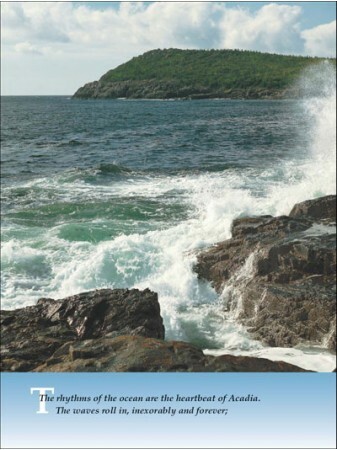 Now retired, he lives on Mount Desert Island in the shadow of Acadia National Park. 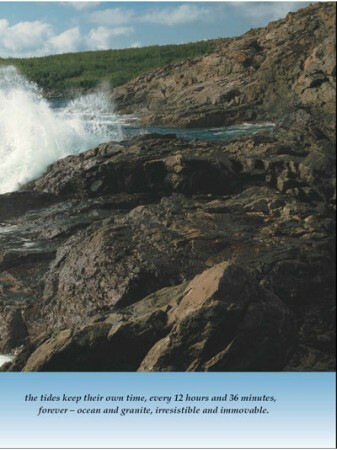 9" x 12", Paperback, 48 pages, 70 color photos including 3 historical, and 2 maps.